Town meeting in Kirby resembles an animated version of a Norman Rockwell painting. 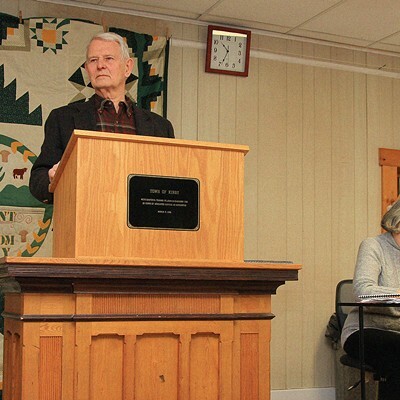 About 80 residents — of the town's total population of 493 — sat side-by-side Tuesday in wooden pews and on metal folding chairs as Republican former state legislator John McClaughry presided over his 51st consecutive Kirby town meeting. Behind him hung a quilt stitched with the state's motto: "Freedom & Unity." To the side was an American flag, to which the assembly pledged allegiance. Town Clerk Wanda Grant was honored for her 35 years of service with a standing ovation and an antique map of Kirby. Halfway through the 100-minute-long meeting, a resident asked for a moment of silence for a 103-year-old woman and all the other townspeople who had died in 2016. The dozen school-age children and some babies in the crowd served as a reminder that life goes on. All but one of the 25 articles under consideration was approved unanimously, or nearly so, by voice vote. The town's $1.5 million school budget was passed without debate. Actual balloting took place only for a two-way race for a selectboard seat, which the incumbent won by a 43-24 margin. 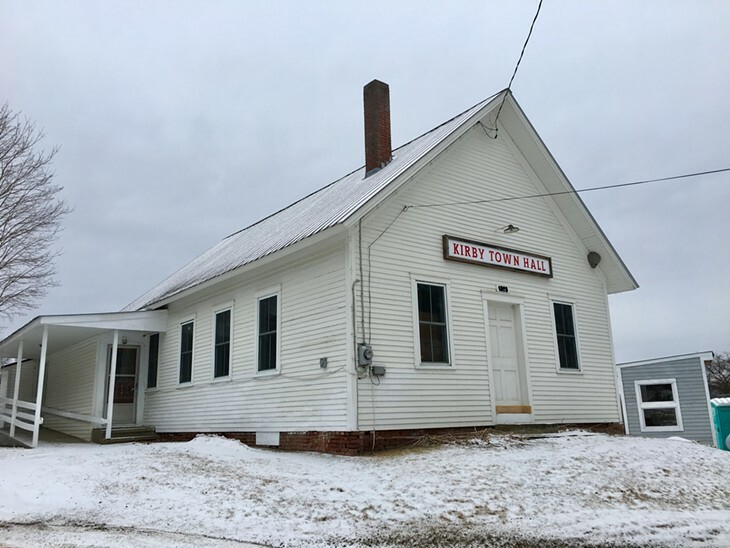 Town Meeting Day in this Northeast Kingdom community was simultaneously inspiring and humdrum. 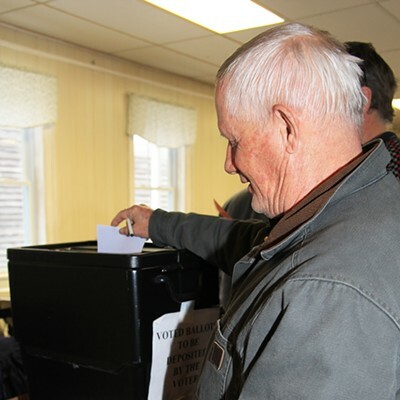 Those present — about 18 percent of Kirby's eligible residents actually voted — carried out their democratic duties with requisite solemnity, but the public debate seemed largely perfunctory. That may reflect the loss of control over many substantive matters experienced by Kirby and most small towns in Vermont, McClaughry suggested. A staunch decentralist, he suggested that declining attendance and desultory proceedings at a large number of Vermont's annual meetings is because the state has usurped many policies and programs that used to be the purview of towns. In McClaughry's view, the shift toward central authority and away from local control was set in motion in the 1960s when Phil Hoff, Vermont's first Democratic governor, took management of "poor relief" away from towns and vested it in a welfare bureaucracy in Montpelier. Review and regulation of major land-use projects soon came under the state's aegis, as well, in the form of Act 250. And during the past few decades, McClaughry added, state education officials have pushed to consolidate many towns' public schools into large unified districts, as per Act 46. 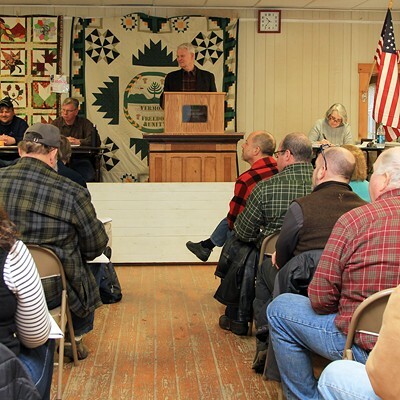 Frank Bryan, a retired University of Vermont professor and author of several books and articles on the virtues of local self-governance, shares McClaughry's skepticism about the durability of town meeting, a cornerstone of the state's political culture. "The prospects seem bleaker and bleaker," Bryan wrote in an email. "The most recent atrocity is Act 46." McClaughry acknowledged that increased centralization has not been an entirely negative development. But, he added, its underlying consequence — the waning of Vermont's 255-year tradition of direct democracy — has been a disaster of historic dimensions. He said he foresees a time when towns' duties will consist of little more than maintaining local roads, "keeping up the cemetery" and issuing dog licenses. With little of substance on the annual agenda of most town meetings, they are becoming largely symbolic gatherings, McClaughry observed, but he hastened to point out: "The symbolism is very important, because it reinforces the idea that we are free men and women." 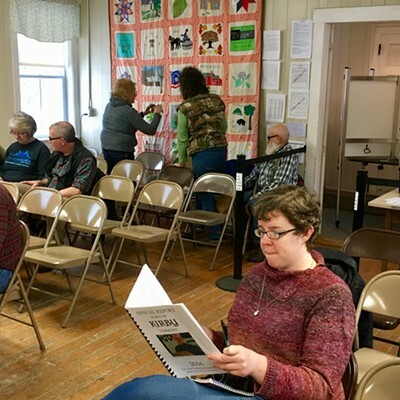 Susan Clark, coauthor with Bryan of All Those in Favor: Rediscovering the Secrets of Town Meeting and Community," agrees that the town meeting in Vermont is generally "in decline." 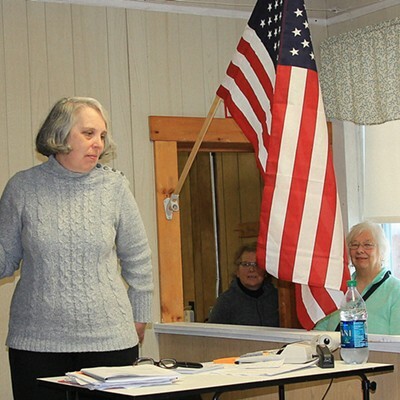 She emphasized, however, that participation varies greatly from town to town and that "the spirit of direct democracy that animates town meeting in Vermont is very much alive." Clark rates Vermont's town meetings as the most vibrant in New England, followed by those of Maine and New Hampshire. The annual conclaves are still significant events in some Massachusetts towns, Clark added, but are less robust in Connecticut and Rhode Island. Averill Leslie, a Hardwick native writing a PhD dissertation at the University of Chicago on town meeting democracy in New England, points out that worries about the allegedly sorry state of Vermont's town meeting began not long after Bennington held the first such assembly in 1762. "It's important to distinguish between town meeting changing versus town meeting dying," Leslie wrote in an email. 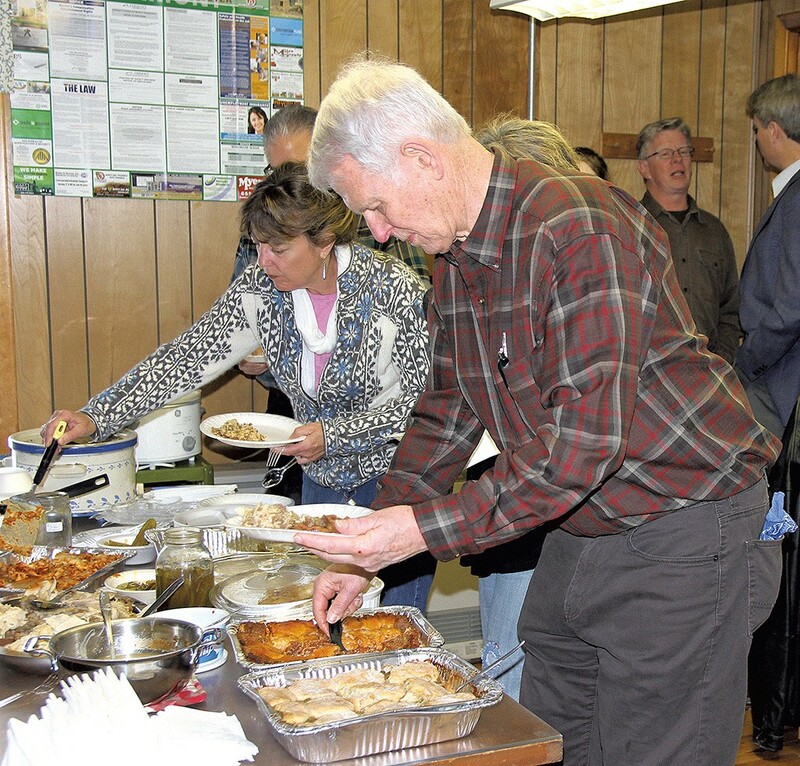 Some years, some town meetings do attract sizable crowds, involve impassioned debates and even generate national headlines. In 1982, for example, a call for a freeze on the number of U.S. and Soviet nuclear weapons won the support of 155 of the 185 Vermont towns that considered the question. Such a huge grassroots majority urging a sharp shift in president Ronald Reagan's administration policy caught the attention of media outlets in Washington and New York. There's speculation now that the upsurge in citizen activism triggered by Donald Trump's presidency may reenergize town meeting. The turnout this year in Kirby was higher than average, according to McClaughry, who said only about 40 voters typically attend. Another sign of renewed life: A few Vermont towns debated on Tuesday whether to declare themselves sanctuary communities in defiance of Trump's crackdown on unauthorized immigrants. 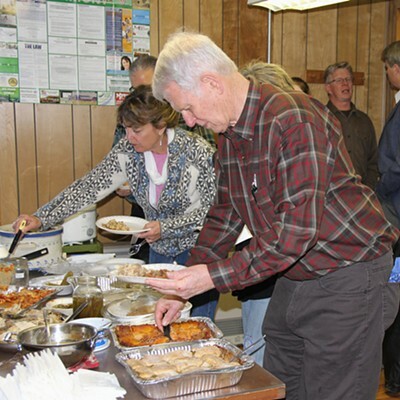 Such efforts to address national or even global issues at citizen assemblies "invigorate the local meetings and help to continue their relevance," suggested Tom Slayton, editor emeritus of Vermont Life magazine. 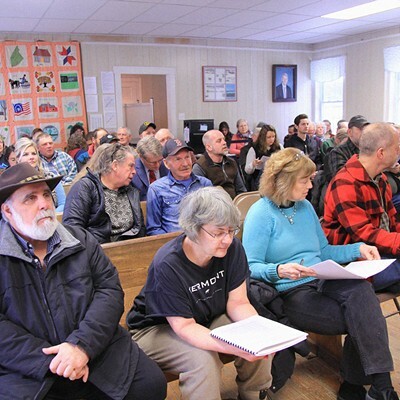 "They will help keep town meetings vital into the future, even as more and more of the traditional functions of such meetings are gradually taken over by the State of Vermont or the feds." Scholars who have focused on town meeting in Vermont are in general agreement that statewide participation rates are dropping — precipitously in some cases. 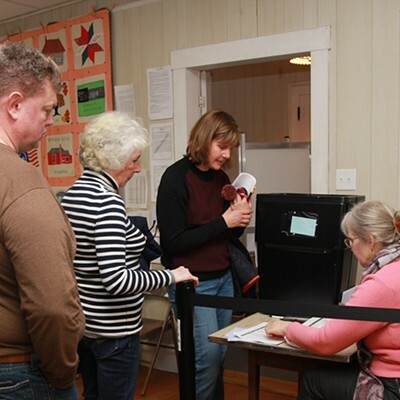 Bryan has estimated, for example, that attendance at town meetings statewide averaged about 20 percent of registered voters in the period from 1970 to 1998. By 1999, he calculated, the rate had plunged to 11 percent. More recent and more precise statewide statistics are not available because the Vermont Secretary of State's Office has not measured town meeting head counts. This marks the first year that the secretary of state is requiring all towns to report turnouts. In Stowe, the fade-out has been so dramatic that the selectboard appointed a task force last year to report on causes and possible fixes. 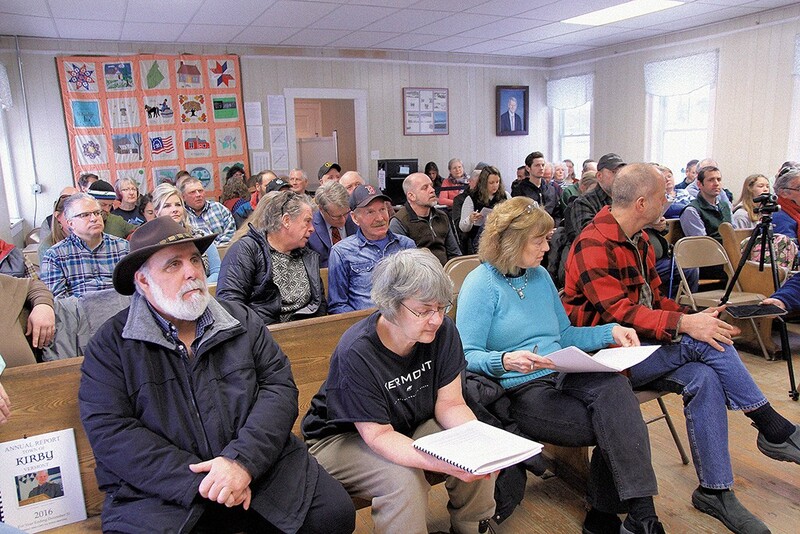 Attendance at Stowe's town meeting averaged 370 during the 1998 to 2008 period, the task force noted in its study. Last year, 159 residents showed up. 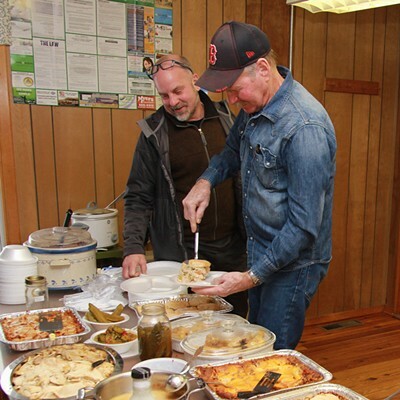 "The decline in attendance is likely due to a combination of factors, including increased population and economic activity, changes in how the town is managed, and demographic, social and technological changes," the Stowe report stated. But while the task force could offer "no single or easy remedy," it did warn that "neglect and business as usual at town meeting would certainly end in its demise." The Stowe study cited findings by Clark and Bryan that suggest the efficacy of meetings and local rates of attendance correlate inversely with town size. "Town meetings work better, dramatically better, in towns with small populations," the two authors wrote. "Analysis shows that increasing town size accounts for much of the decline in attendance at town meeting we have seen since 1970." Clark and Bryan also pointed to greater reliance on the secret, Australian ballot as a disincentive to citizen participation in town meetings. More and more municipalities — including Burlington and Winooski — make key decisions that way now rather than through voice votes or a show of hands. No discussion is permitted. Marie Thomas, a civic activist in Richmond, lamented the growing reliance on secret balloting. "So many things are only on Australian ballot that it's hard to keep town meeting going long enough to have lunch," she wrote in an email. "I am one of the people who thinks that town meeting is the perfect opportunity to bring up town business." But only a few hundred of Richmond's roughly 2,800 registered voters take advantage of that opportunity, Thomas said. She offered a couple of possible reasons for the ebbing involvement: "These days, so many issues get discussed on Front Porch Forum," while the local public-access TV station airs "so many government meetings that many don't feel the need to congregate." 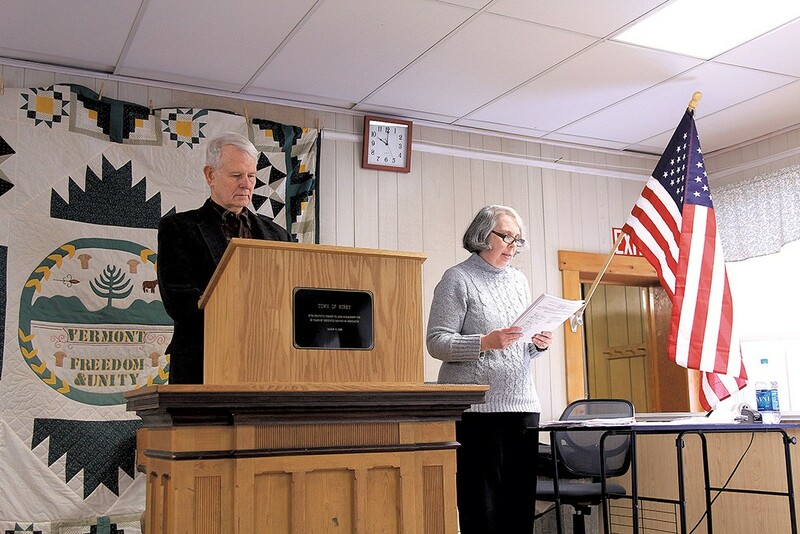 Technology can be used to offset its own negative impact on town meeting attendance, suggested Clark, who serves as moderator of the Middlesex meeting. Her town is facilitating "remote engagement" in town meeting via teleconferencing. It's vital to take whatever actions may be needed to reinvigorate and sustain the viability of town meeting, she urged. Democracy itself cannot be preserved if citizens fail to take part in civic affairs, she warned: "It all comes down to whether people feel government is a 'we' or a 'they.'"